Here we are, Fall 2017. I’m back at writing to you all which means, I’ve got NEWS! Are you all still there?…Patiently waiting for my grand return? I will freely admit, this blogging thing isn’t really working out consistently but know this one truth…when I’m not here, it means that I’m doing what I love…painting in the studio. Leading up to this moment, I’ve been working on a new solo show at Blue Crow Gallery here in Toronto. Opening night is this Saturday, Nov 4th, from 7-9pm. I will be there to welcome you, so please! Come say hello! 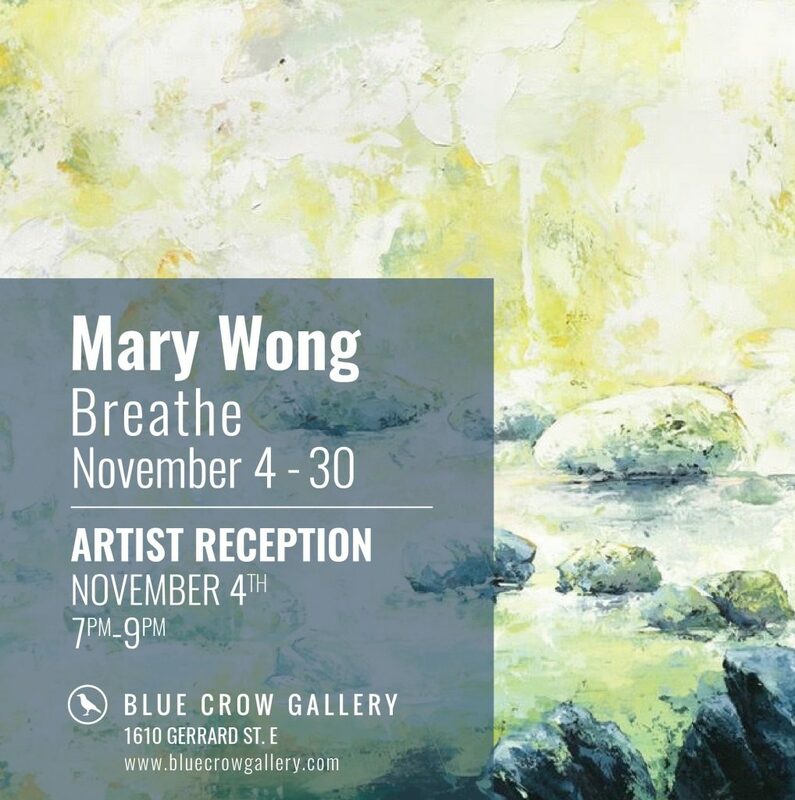 Solo Exhibit @ Blue Crow Gallery, Vernissage Nov 4th, 7-9pm. Come Meet the Artist! Indeed…after months of relentless work in the studio, I have finally come up for some well deserved air! All those early mornings, late nights, and committed weekends in the studio has paid off. I’m very excited to introduce twelve new paintings in my upcoming solo exhibition COMING UP FOR AIR with Sivarulrasa Gallery in Almonte, ON. COMING UP FOR AIR will debut this weekend (October 16th, 2016 from 2 – 5pm) alongside the gallery’s grand opening of its new space at 33 Mill Street, Almonte, ON. I’ll definitely be there and I hope you will be too! It may still be chilly outside, but the warmth of spring has nature blooming into full colour at Sivarulrasa Gallery this month. The current show BLOOM brings together Deborah Arnold (Almonte), Barbara Gamble (Ottawa), Susan Tooke (Halifax) and me (Toronto). I’m thrilled to be showing with such great women and talented artists. We are all in attendance at the gallery’s vernissage this afternoon from 3-6pm. Three years ago I met this very funny, very exuberant and terrifically thought provoking playwright by the name of Donna-Michelle St. Bernard. She is a talented and an award winning author. Gracing the jacket of Donna’s newly published book is a detail from my painting Out of the Blue. I’m so excited…TRULY, over the moon to share this wonderful news with you all! A Man, A Fish is now widely available including libraries, online, as well as in stores at independent and major book retailers including Chapters Indigo and Amazon.ca. If you would like to purchase a signed copy by both Donna and I, please contact me at mary@marywong.ca and we will make it happen! 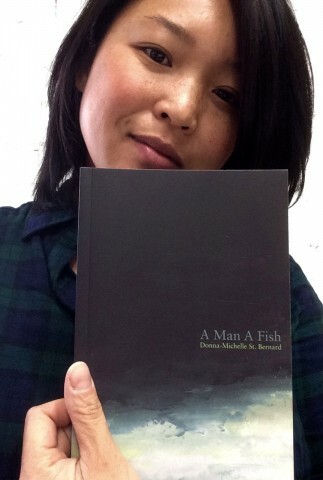 A Man, A Fish $23 (includes shipping in Canada) !!! GET YOUR COPY NOW !!! Not only did we experience a supermoon solar eclipse this past Sunday but a lively art opening could be seen and heard at 83 Little Bridge Street in Almonte, ON. I couldn’t have asked for a better opening reception with a robust crowd of people that came from all over the Ottawa area to see the show. 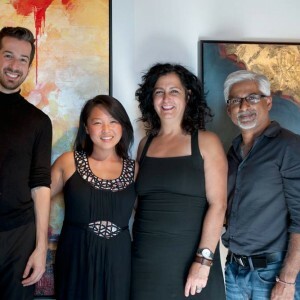 Many thanks to Tami Galili Ellis whose beautiful paintings were a pleasure to see next to my own, the talented Flautist Christian Paquette whose music was the perfect compliment to the work and of course, show curator Sanjeev Sivarulrasa. I have to give special thanks to Sanjeev for making this show happen for me. Initially, it had taken some work to coordinate and align our schedules to get this show off the ground but I’m so thrilled that it worked out. What a fantastic show! 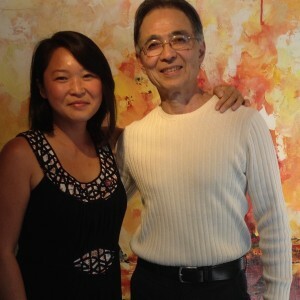 To my surprise and great pleasure the very talented painter Norman Takeuchi and his wife Marion also made an appearance! I am honoured. You can catch Norman at his upcoming exhibition at the Ottawa Gallery in his new show Truth of the Matter. I encourage you to go to the opening reception Oct 1. Norman is a fantastic painter! Little surprises in life can have big impacts. If you’ve been following me on social media, then you’ll know that I sold 3 new paintings BEFORE my show with Sivarulrasa Gallery even opened. How cool is that? well…ITS PRETTY FLIPP’N AWESOME! I couldn’t have asked for a better start to my show INWARD. Many, many thanks to the wonderful Amaryllia Liu from sunny California. It gladdens my heart to know that my work will be hung in a gorgeous new home, appreciated and loved by an admirer. I particularly love the fact that a piece of me will always be somewhere that’s warm…at least for most of the year. Thanks so much Amaryllia for making a huge splash in my little pond! I can’t believe it’s September..where did the summer go? Oh right! 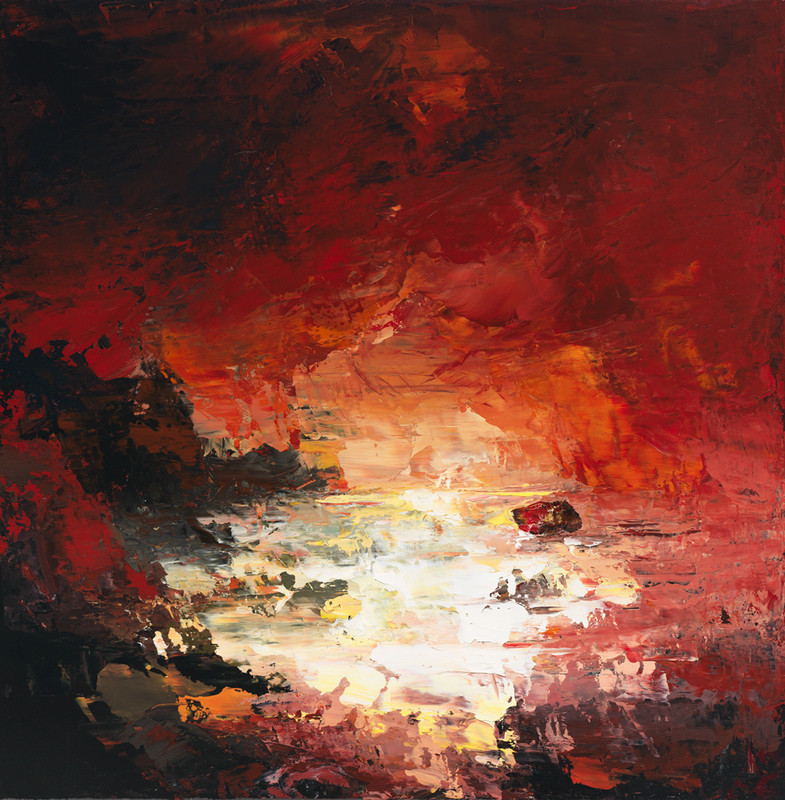 I remember…I was painting and painting…and, oh yeah, have I mentioned that… I was painting?! All that sequestering in my studio while the weather, warm and gorgeous, tempted me mercilessly, I was painting furiously for a new show that is opening in TWO days! I’m so excited to announce that not only do I have a new show to tell you about, but a new partnership with a little gem of a gallery at the heart of Almonte. At this moment SIVARULRASA GALLERY is unwrapping twelve new paintings of mine that will be accompanied by a few familiar favourites. I share the honour of this show with the talented painter Tami Galili Ellis. What it means to do an outdoor art show…. This past weekend was the 17th Riverdale Art walk in Leslieville. I couldn’t have asked for better weather, or for better neighbouring Artists to share this experience with. In our little corner of the art show, laughs were had, tears were shed, experiences were shared in support of each other and in lessons learned. All this came to mind as I sat down to write this post. So i’m about to share with you the reality of what it’s like to work towards a show, especially exhibiting outdoors, and what it means to the artists who stand behind their work. Two major components come straight to mind: time and money. 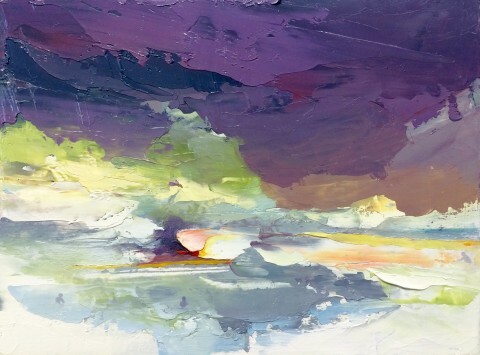 Each artist in his or her own way needs enough time to consider, develop and refine the work. This can only be achieved if time can be allocated to the task. In some cases, this means that other tasks and responsibilities are absorbed by a spouse or left abandoned on a long to-do list during this extensive time. Secondly, outdoor shows cost a lot of money. Materials in the creation of the work, submission fees to get into the show, equipment rentals, food, parking, and hotel expenses quickly add up. Before you know it, a thousand dollars has been spent and the show hasn’t even started yet. At the end of the day though, I have found that what truly makes a show like the Riverdale Art Walk a success for me is the support I receive from my family and friends throughout the process. I’m sure you’ve heard the saying “it takes a village to raise a child..”…well, it also takes a village to exhibit at an outdoor art show. Outdoor show are all about the hustle. I have found that setting up for an outdoor show requires at least 2 people to pitch the tent, unload the vehicle, unwrap the work and hang the work. It can be exhausting and stressful to set the work up every morning and tear down the show every night to ensure that the work rests safely away from unsuspecting theft during the night. Every decision to conserve on expenses increases the dependency on your village, just as without a village, expenditures climb exponentially. Despite it all, Artists continue to make their work and showcase them because we are passionate about what we do. For me, it’s about engaging the public one on one and being able to share my vision in hopes that connections are made and stories are shared. Artists are storytellers, except the words on our pages play upon colour, texture and spatial perspectives. As important as it is for exhibiting Artists to sell their work at these types of venues, sometimes, a compliment or a shared conversation about the work can be of equal value. I dedicate this post to “my village”, especially my husband, whose love and support continues to carry me forward. A heart felt thanks to my clients and friends who came to show their support making the Riverdale Art Walk a personal and professional success for me this year. I’ll admit, it’s been a while…but i’ve had good reason. The Riverdale Artwork marks my fourth show this year and the last 3 were back to back. It’s been a little intense at the studio but tomorrow, bright and early, the fun begins! You can find me at BOOTH 49 @ JIMMIE SIMPSON PARK, located at Booth Avenue and Queen Street East. Come visit me! I’m always happy to see familiar faces, and I always appreciate your show of support for me, as well as for our other local artisans. Preparing for a show usually involves copious amounts of coffee, working long hours with frustrated hair pulling, maybe some tears and definitely loads more coffee. My husband can always tell I’m in the zone when random coffee cups can be seen strewn across the floor and discovered in various nooks around the studio. After the paintings get shipped off and installed, I let out this breath that I didn’t even know that I was holding in…my shoulders sag and I think, THANK GOD! I can take a break now! Bring it on baby! …now where did that coffee go.